Teaser trailer #2 added for KBS1 weekday evening drama series “Home for Summer” starring Lee Young-Eun, Kim Sa-Kwon, Yoon Sun-Woo and Lee Chae-Young. 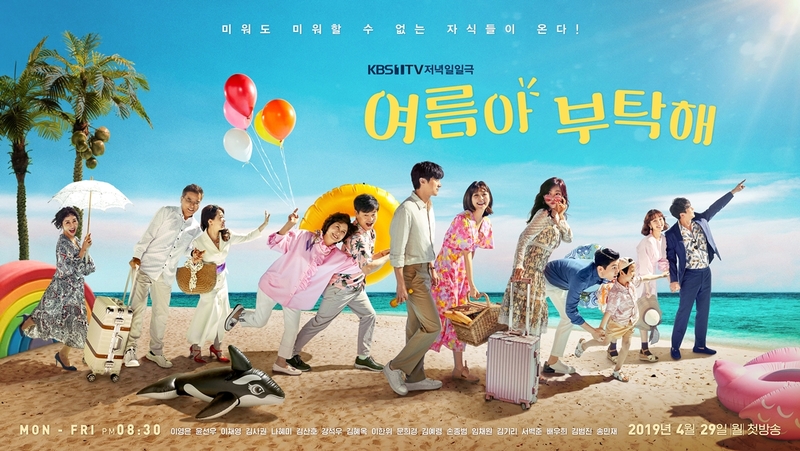 Meanwhile, above is the first teaser poster for the drama series which depicts a smiling family enjoying their vacation. Lee Young-Eun as Wang Geum-Hee is smiling and holding the picnic basket. “Home for Summer” first airs April 29, 2019 in South Korea (takes over KBS1’s Monday though Friday 8:25 PM time slot after “It’s My Life“).